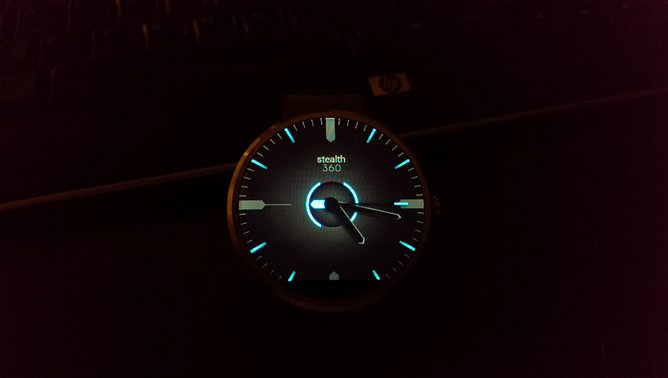 Despite having some serious (and apparently isolated) issues with his unit's battery, our fearless leader Artem is thoroughly enjoying his Moto 360 smartwatch. He described the Stealth360 watch face from developer Flying Rhino as, and I quote, "sweet as hell." Stealth360 shies away from some of the more conventional Braun-style designs included with the Moto 360 itself, in favor of something closer to a Razer or Alienware look. (Think Tron, but with a little more restraint.) 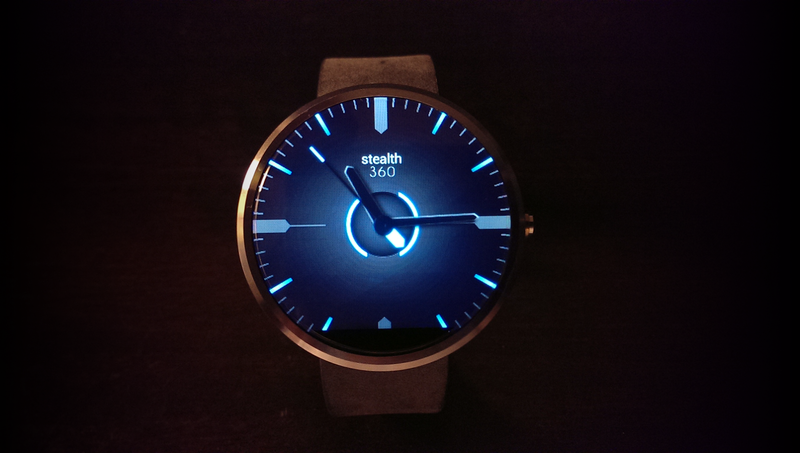 Despite hands and markers that are designed to look sleek, it's pretty functional as a standard watch, thanks to easy-to-read layout. The gradient on the background really helps the hands pop, despite the all-dark color scheme. If a second hand is important to you - and it's vital in certain professions - then this face has a spiffy colored indicator on the end of it, not unlike the patch of luminous material on some real watches. 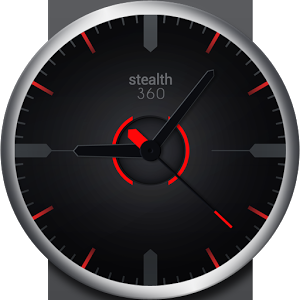 Stealth360 is one dollar on the Play Store, and it's available in both red and blue variants. It works best for round watches, of course, and particularly the all-black Moto 360, but it can be installed on any Android Wear device. 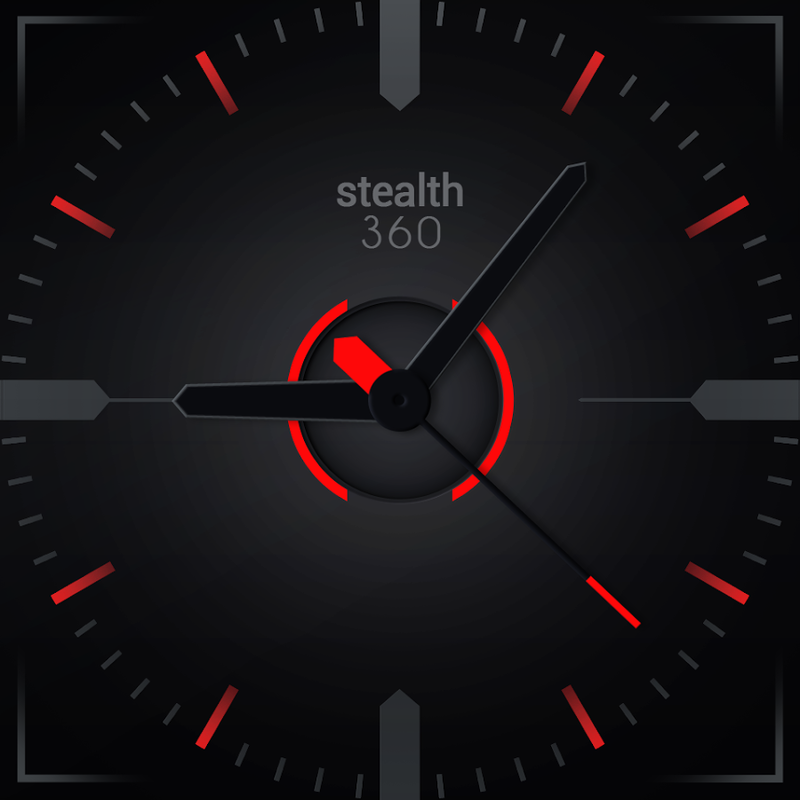 The developer has other watch faces for sale, along with themes for the Talon Twitter client and Evolve SMS.